Over 150 pivotal works by the pioneers of modern art… Whistler, Cézanne, Monet, Seurat, Vuillard, Bonnard, Gauguin, Matisse, Derain, Picasso, Kandinsky, Mondrian, Klee, Robert and Sonia Delaunay, Hans Arp and Sophie Taüber-Arp. Discover the work of the most influential artists of the modern era and how they changed the course of art forever. 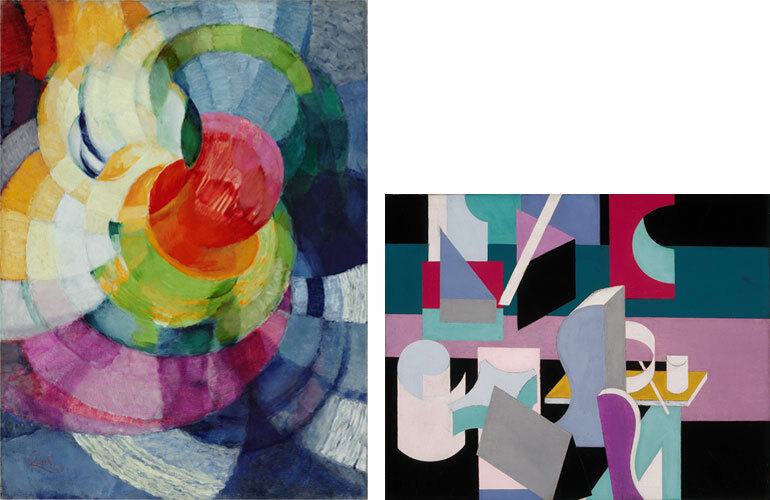 Experimenting with colour and form, these artists explored exciting new ways of seeing and imagining. This major exhibition of over 150 paintings, drawings and prints reveals how abstract art emerged around the world. The works are on loan from 59 of the most prestigious art collections internationally, including the Museum of Modern Art, New York, Museu Picasso Barcelona, Centre National d’Art et de Culture Georges Pompidou, Tate Modern and National Gallery of Art, Washington.